The most frightening aspect of Zika virus has been its ability to produce severe fetal birth defects during pregnancy, especially microcephaly—a small head. Now, scientists from the Florida campus of The Scripps Research Institute (TSRI) have uncovered the details behind the virus’s unique ability to cross the placental barrier and expose the fetus to a range of birth defects that often go beyond microcephaly to include eye and joint injury, and even other types of brain damage. Obstacles to reaching the fetal brain are substantial—a virus must move from the mother’s blood into fetal circulation, which is separated by placental barrier cells designed to prevent that very occurrence. “Zika uses AXL to efficiently slip past one of the major barrier cell types in the placenta: fetal endothelial cells, which are the gateway to access fetal circulation,” said Choe. 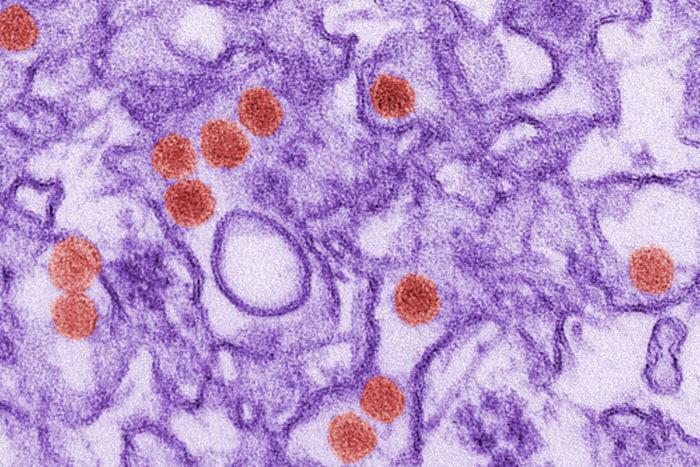 The researchers also speculated on Zika virus’ pathology. AXL is also present in the blood-brain barrier, the eye-blood barrier and the testes—where it maintains integrity of the blood vessels and the functions of the testes. It may be used by Zika virus to infect those cells and may explain Zika virus’ ability to infect the fetal brain and eye and to transmit sexually.